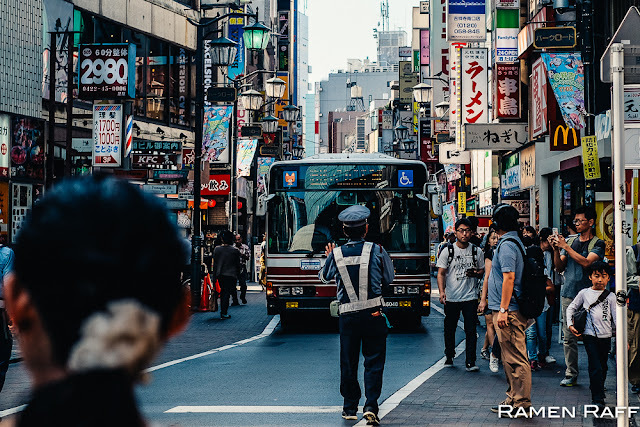 I went back to Japan a year after my last visit. 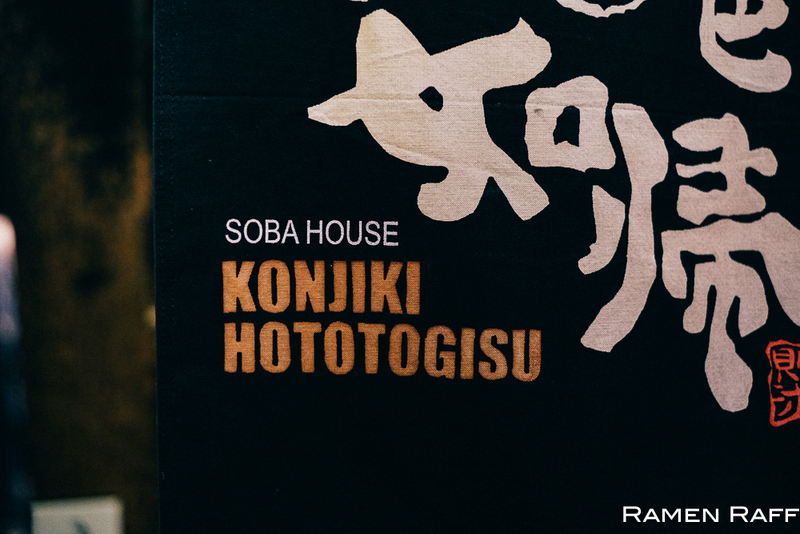 It's just hard to stay away from its sugoi-ness right?! 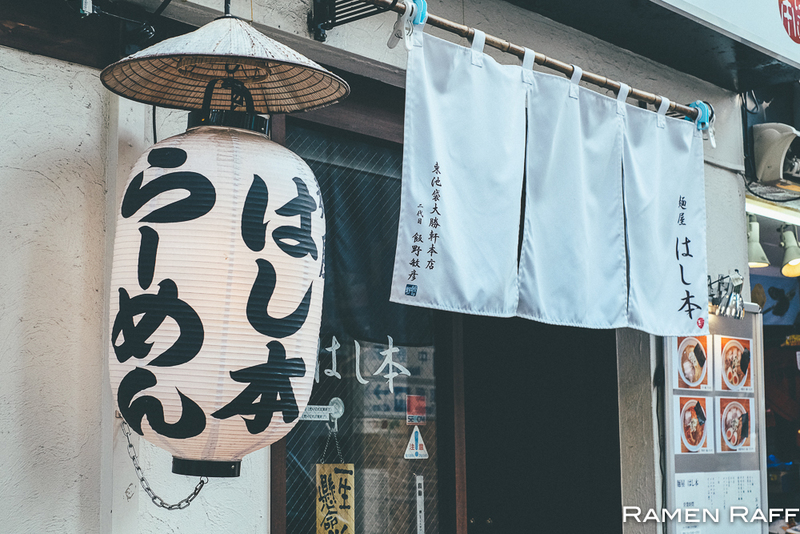 After a relaxing onsen vacation at Hakone, we went straight to Tokyo. 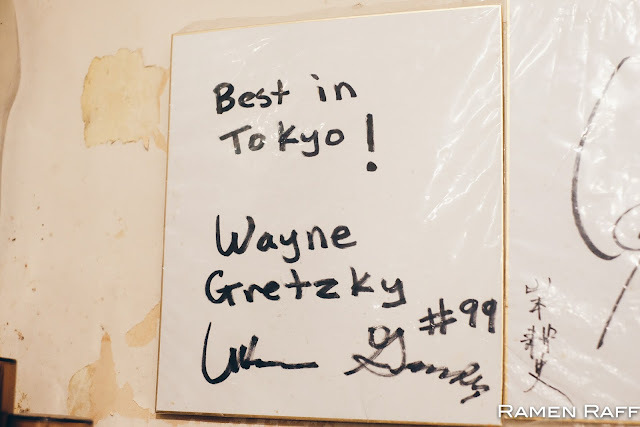 As you all know, this also means trying new ramen places! 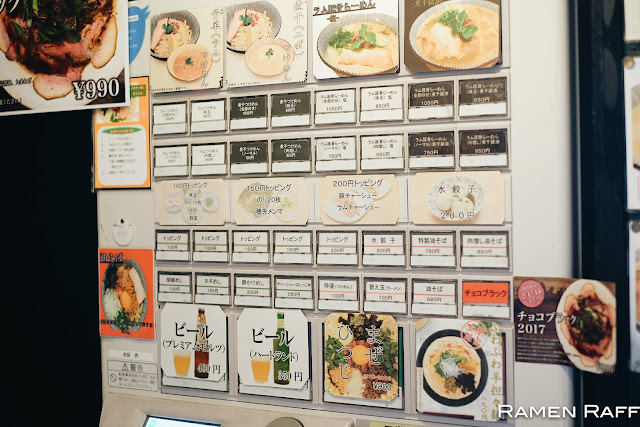 Tokyo never ceases to amaze me with what it has to offer especially in terms of ramen choices. When you think you've kinda seen and tried it all, Tokyo proves you wrong. 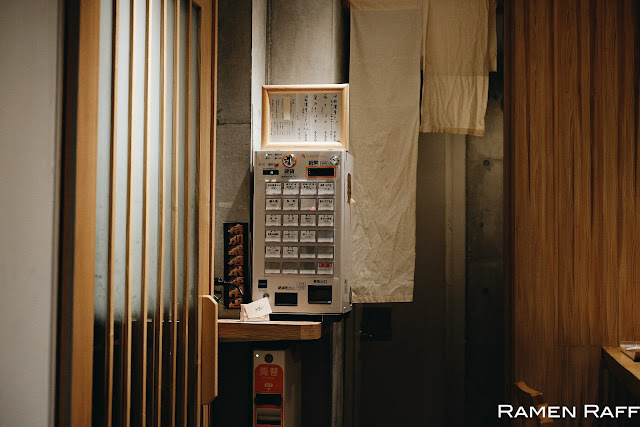 I tried some newly opened places and some oldies but darn goodies. 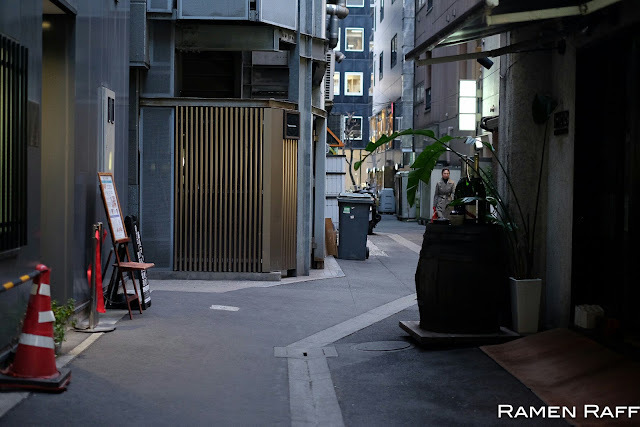 This Hatagaya shop is in the Michellin Bib Gourmand list along with other renowned shops like Kagari. 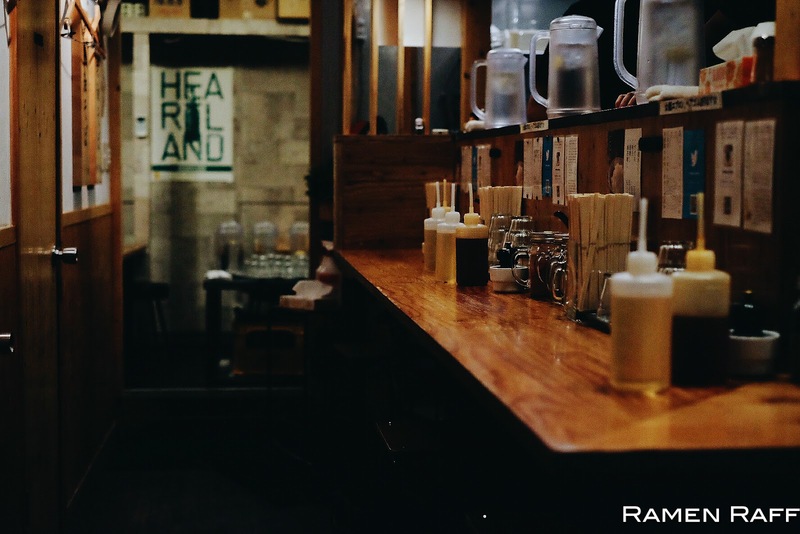 It’s in the top 50 Tabelog site Japan Ramen Awards 2016 and is highly regarded by many ramen critics and nerds as one of the best in Tokyo. I’d say that’s more than enough reason to pay this shop a visit. 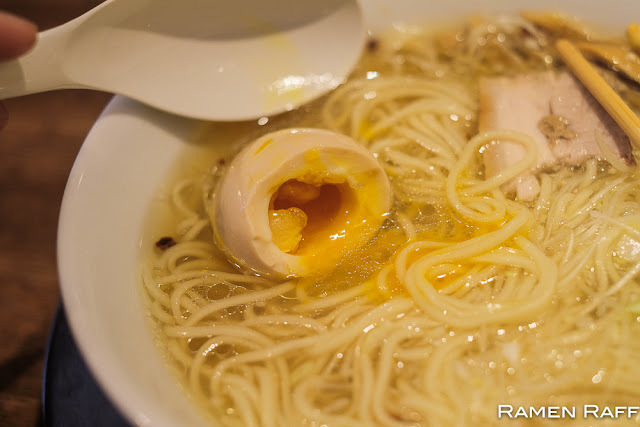 I knew I was in for a treat when I ordered the shio tamago ramen (¥900). The salt tare flavoured soup was like nothing that I’ve had before. 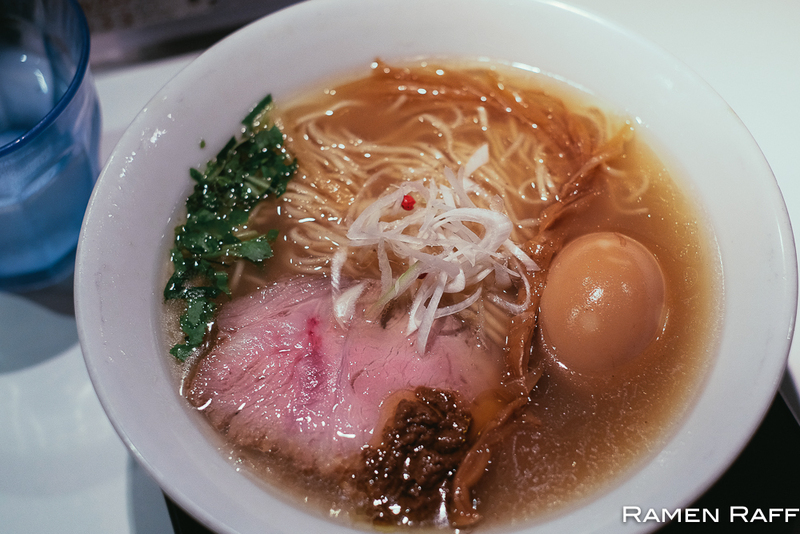 The broth is clam based and quite light but full of umami. 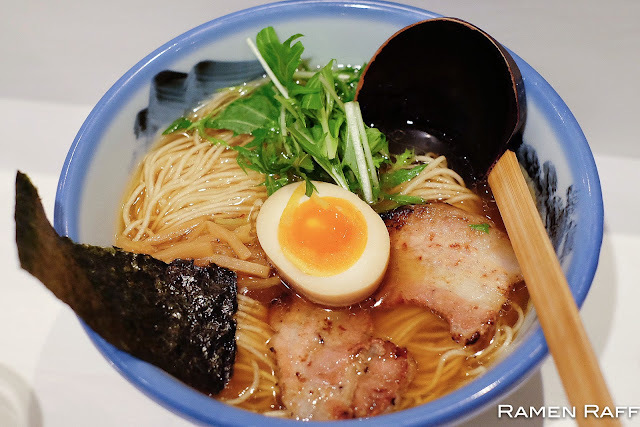 The thin straight wholewheat blend noodles were cooked yawarakame (soft), which perfectly matched the light broth. The sous vide chashu was tender and tasty. The menma was longer and more chewy compared to ones used by other shops. The sweetness of the negi was a nice balance to the claminess of the broth. 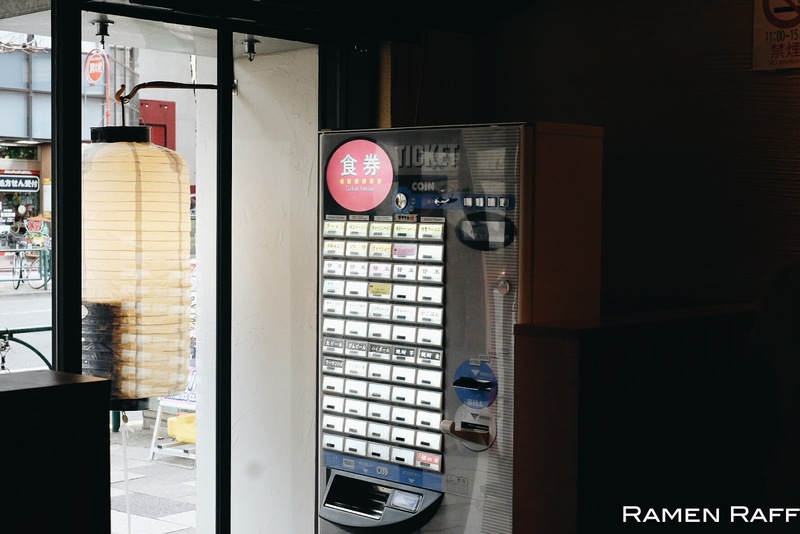 The go to ramen here is their shoyu tamago ramen (¥950). It has pretty much the same toppings as the other shio ramen but this one is more premium and refined with the inclusion of a truffle paste. The soy tare gave the broth depth. 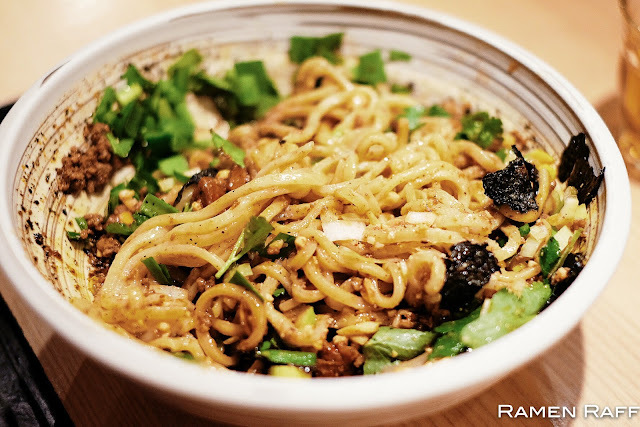 The truffle paste added extra umami with light buttery and sweet notes. This was one of the best bowls of ramen I’ve had in Tokyo to date. 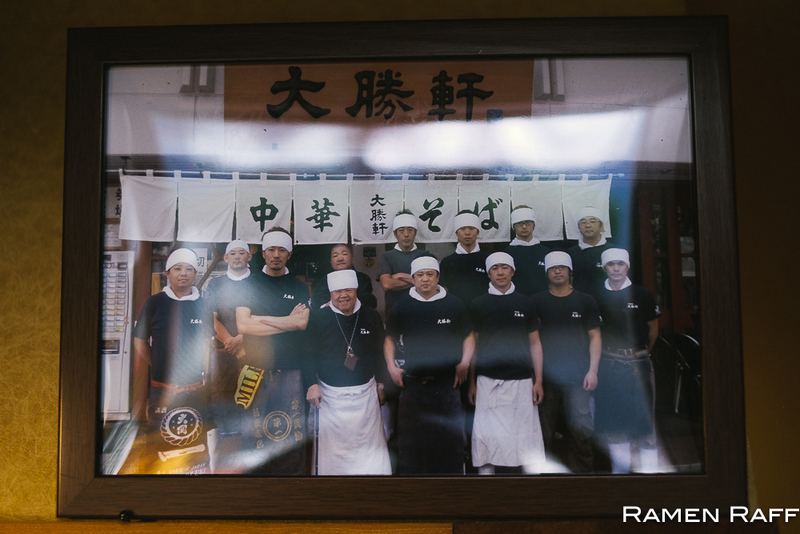 The master here is an ex-Taishoken (yes, that super famous tsukemen shop) chef and a super nice guy. He even offered Mrs Ramen Raff a hair tie so that her hair doesn’t get in the way of enjoying her bowl! He opened his shop earlier this year not far from Nakano Broadway. 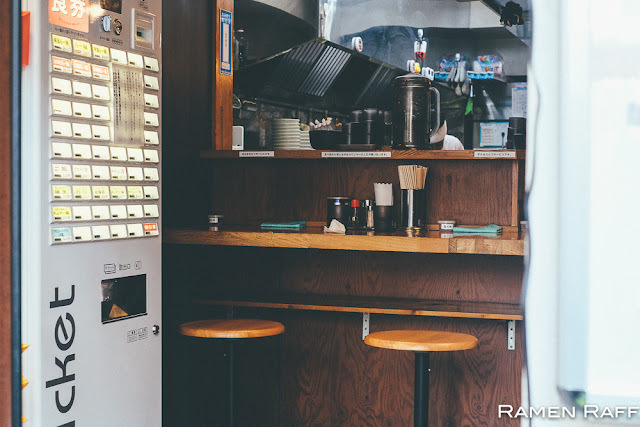 Hashimoto-san specialises in tonkotsu gyokai ramen, which is a team Ramen Raff favourite. 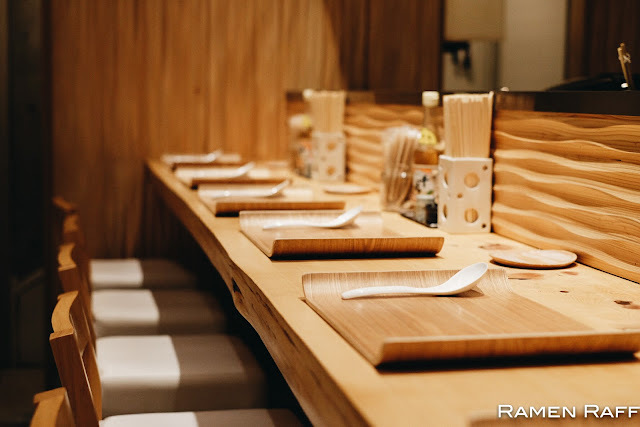 We got a standard tamago tonkotsu gyokai bowl and a tokusei (special) bowl. Both bowls are pretty much the same except that the Tokusei bowl has more slices of sous vide chashu (possibly pork neck). The broth was thick and dense with a lot of depth, umami and smokiness. 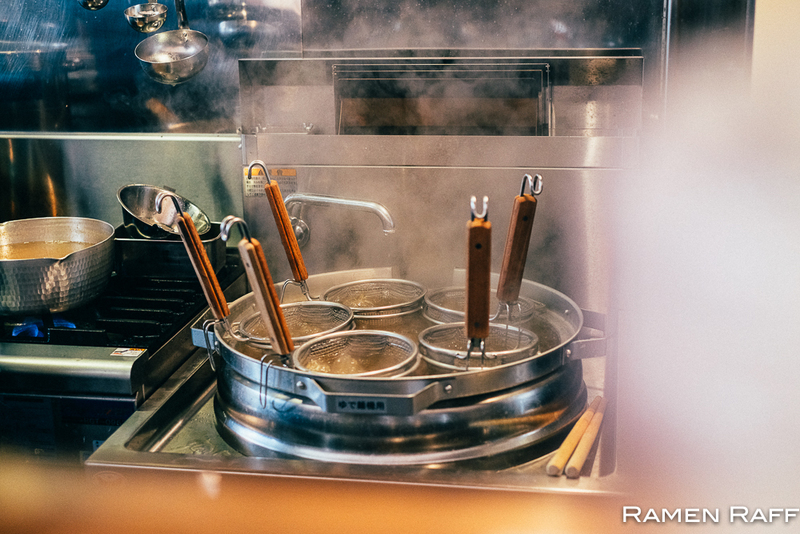 The noodles were straight, cooked medium and slightly thicker than usual. It was an excellent bowl and I would certainly go back. Tip: Add some yuzukoshio paste to add some citrus heat and pepperiness to the broth. A little goes a long way with the paste so don’t over do it! 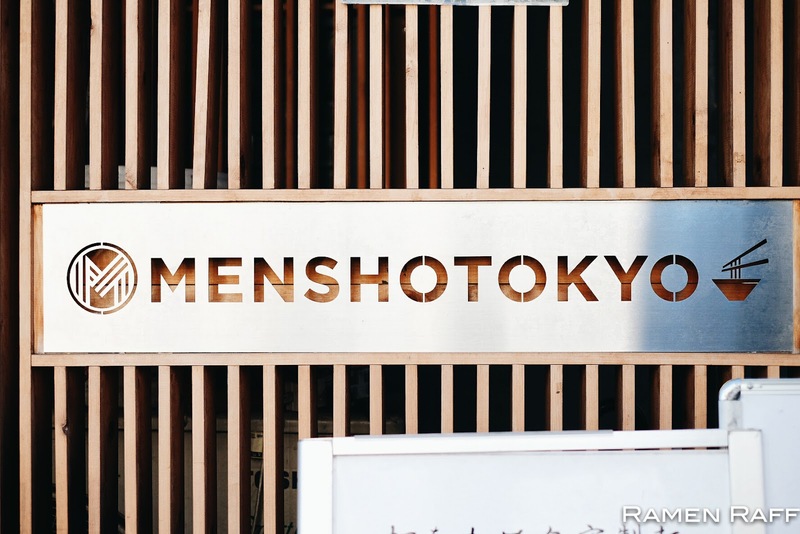 Many are calling this Kichijoji shop a contender for best rookie of the year. Everything here from ingredients to flavour is premium. 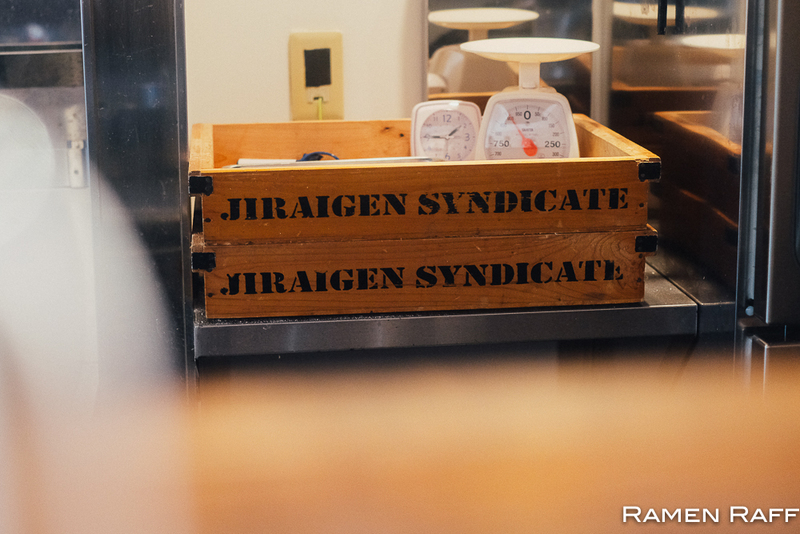 Master Naoki is an ex-Jiaraigen Syndicate chef for 8 years. Japan’s ramen lovers have high regard for Jiraigen Syndicate and I expected nothing less from Tombo’s master. 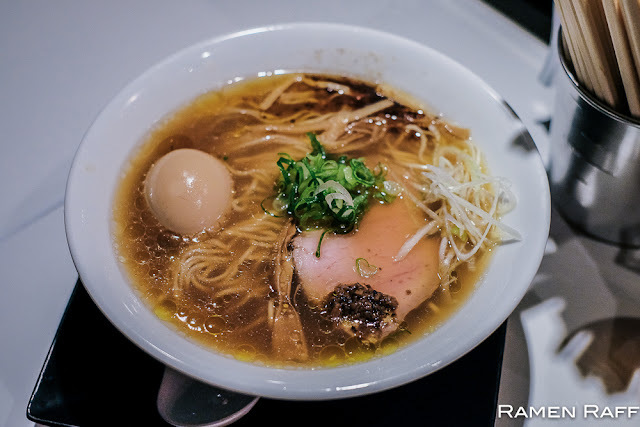 The shio ramen is clean and refined both presentation and in taste. High quality and nicely folded straight noodles were cooked soft to match the light broth. The soup was pure chicken broth and flavoured with salt tare. 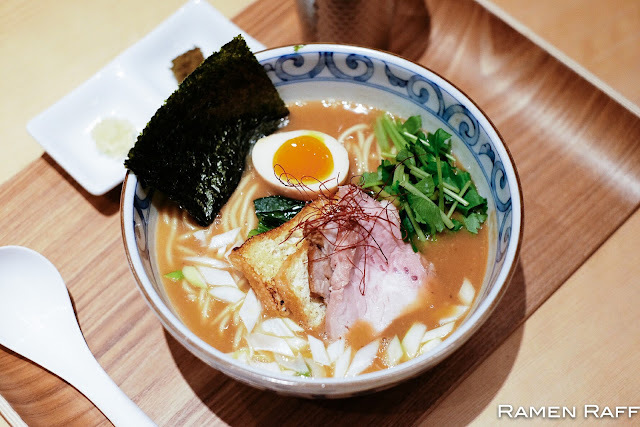 It had the most perfect ajitama, tender fatty chashu, chewy menma, mizuna and negi. 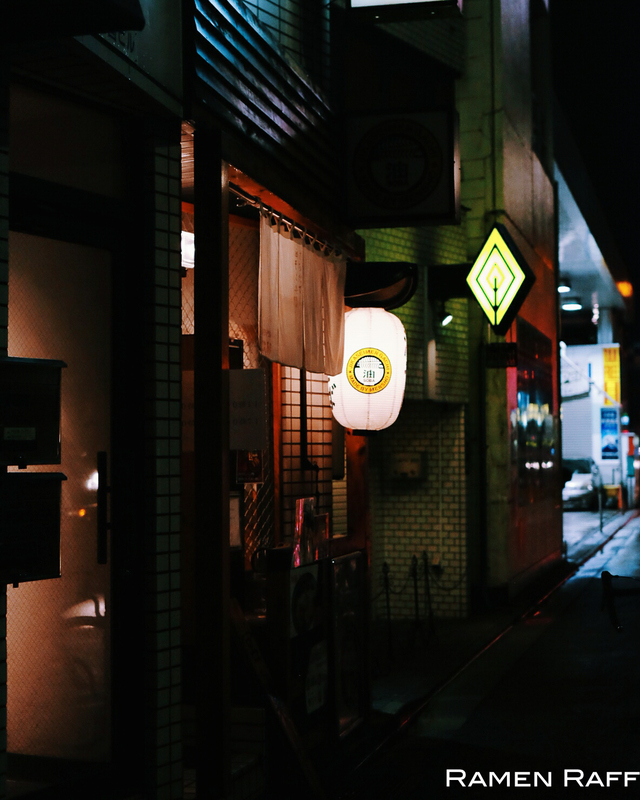 I would go back to try the soy variant with wonton. 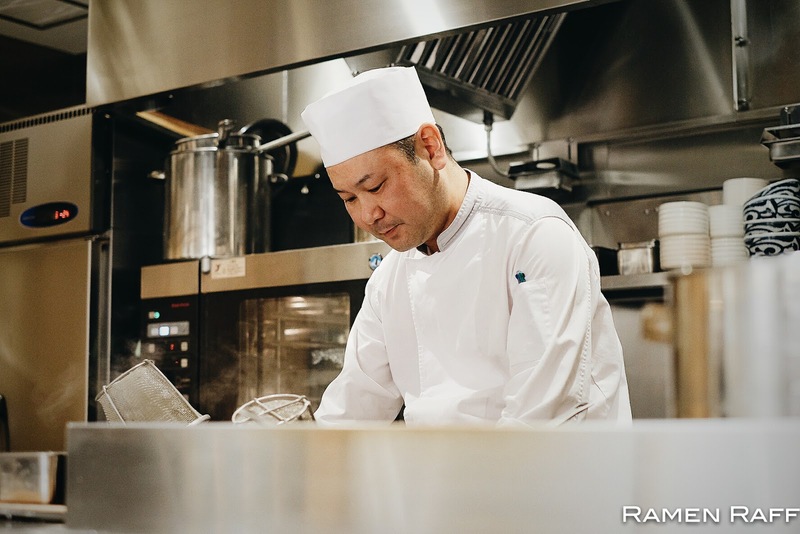 Chef Ohata's Kazami opened around mid-2016. It has received a lot of praises from food writers and ramen aficionados in Japan. Ohata-san has a pretty intense cooking background including working at one of Tokyo's Bib Gourmand ramen shops, Kagari. 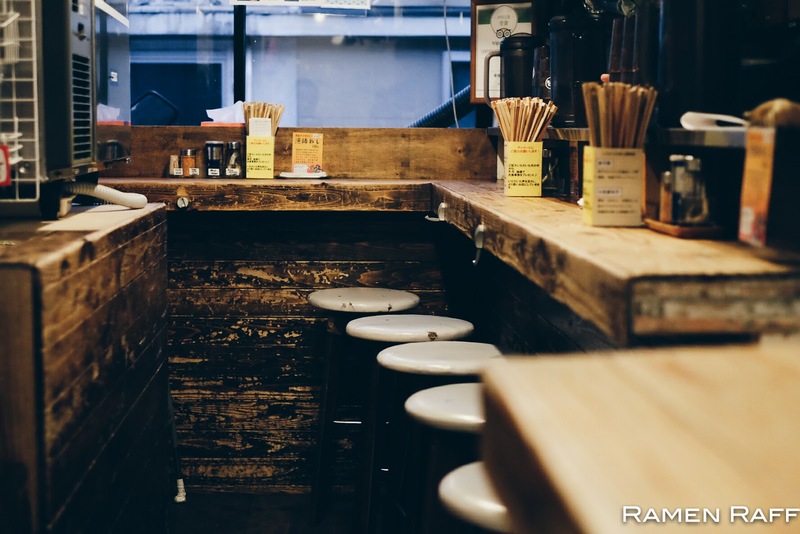 The sake-kasu noko soba (¥950) is Kazami's signature ramen. 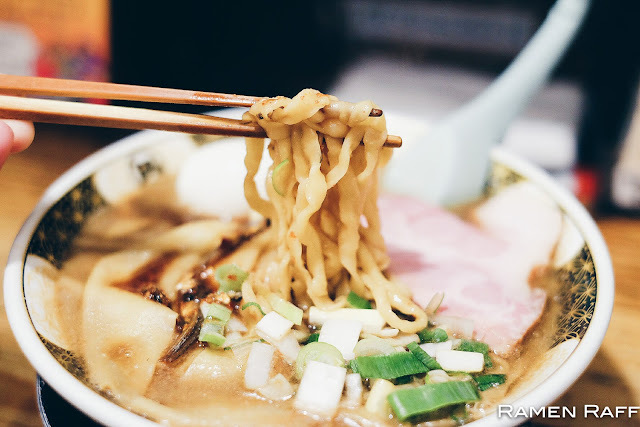 This is one of the best ramens I've had in my life! There is nothing like it. It tastes as beautiful as it looks. 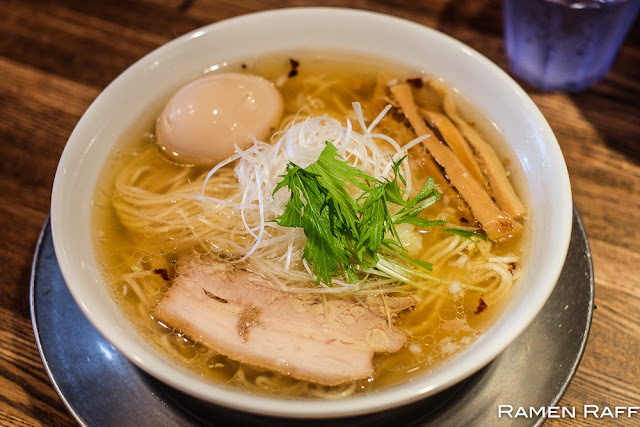 Thick noodles with a kotteri rich broth made from chicken bones, pork bones and sake lees (residue from sake making). 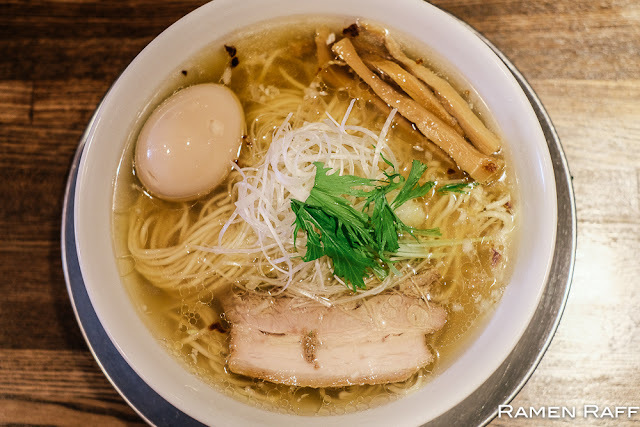 The broth is dense with lots of umami without being oily or salty. You get subtle sweet and subtle sharp flavours with every sip of the broth. Mix it with some ginger and green chilli miso and the broth brightens up. It is also topped with confit pork chat, tofu, agitate, coriander, and nori. 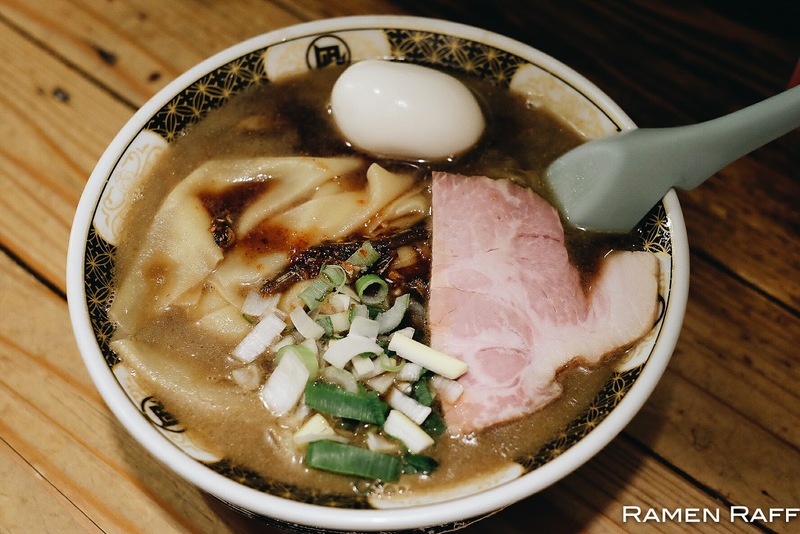 The shoyu ramen (¥950) was light but complex. 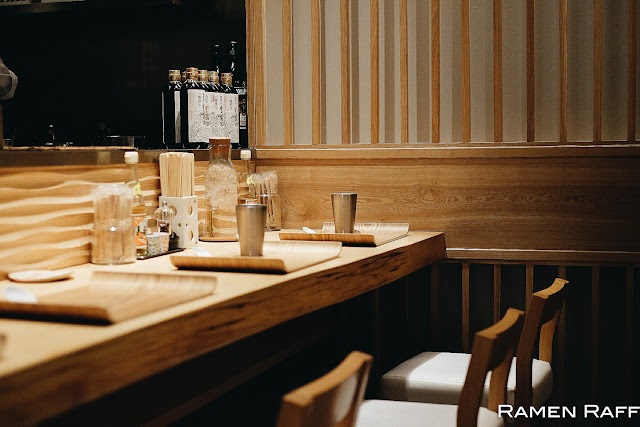 The soup consists of a seafood broth from konbu and five types of dried fishes, shoyu tare, dash of chicken oil and Noilly Prat Vermouth that gives the broth sweet and spiced notes. The thin noodles were nice with a bit of bite to it. The sweetness and sharp notes from the chopped onions were a nice touch. 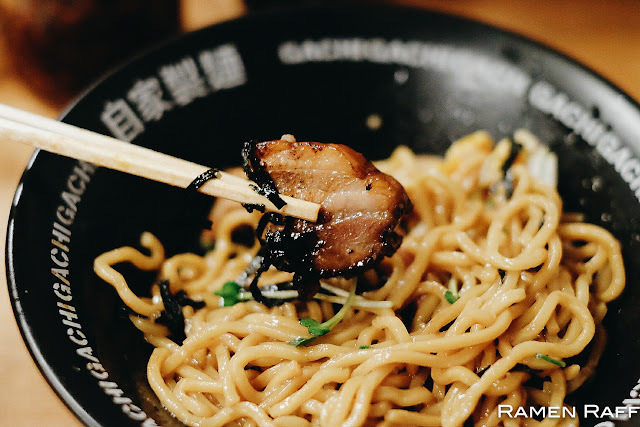 You also get confit chashu, perfect ajitama, tofu and coriander as toppings. Add your complimentary ginger and proccini puree to give the broth a different spin. It was amazing! 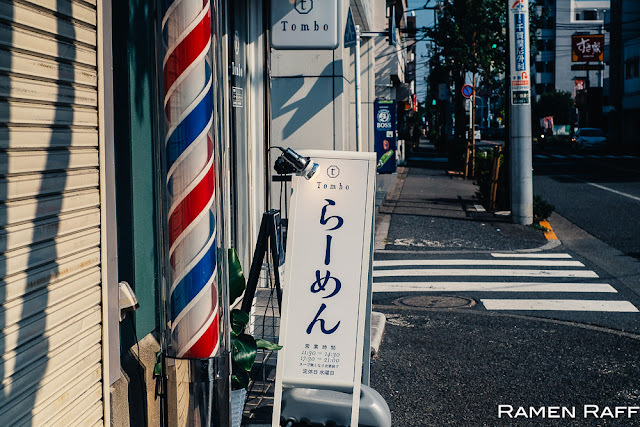 Another great thing for foreigners like myself is that Ohata-san and his staff are more than happy to assist in English on how and what to order. 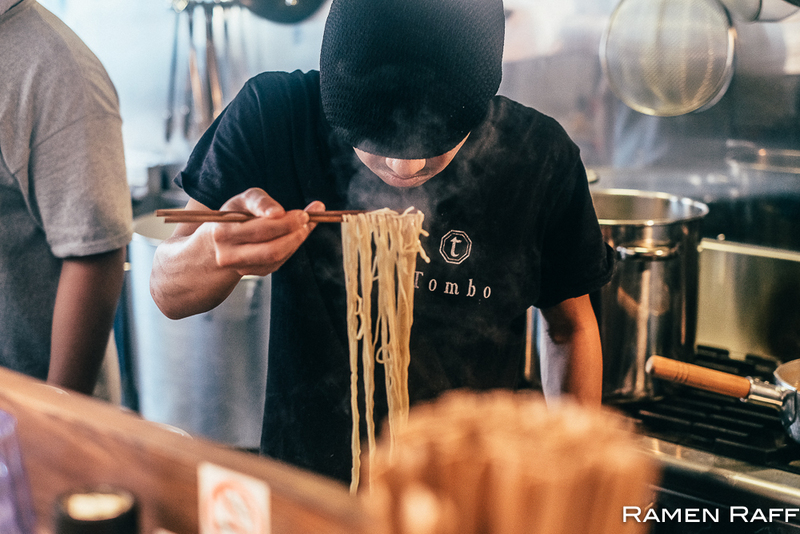 One of the most innovative ramen groups in Japan is the Mensho group. 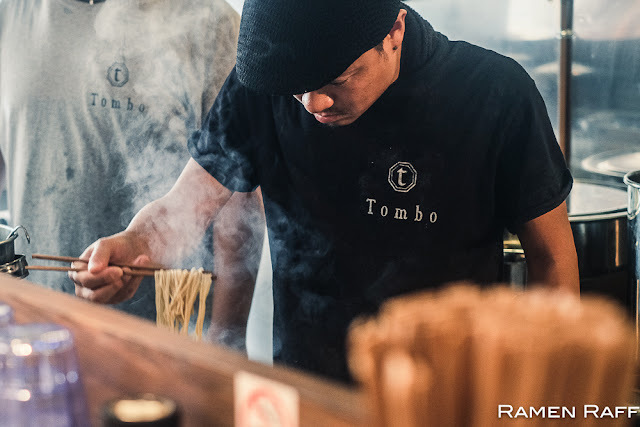 It is headed by the genius ramen chef and dubbed "the ramen creator" Mr Tomoharu Shono. 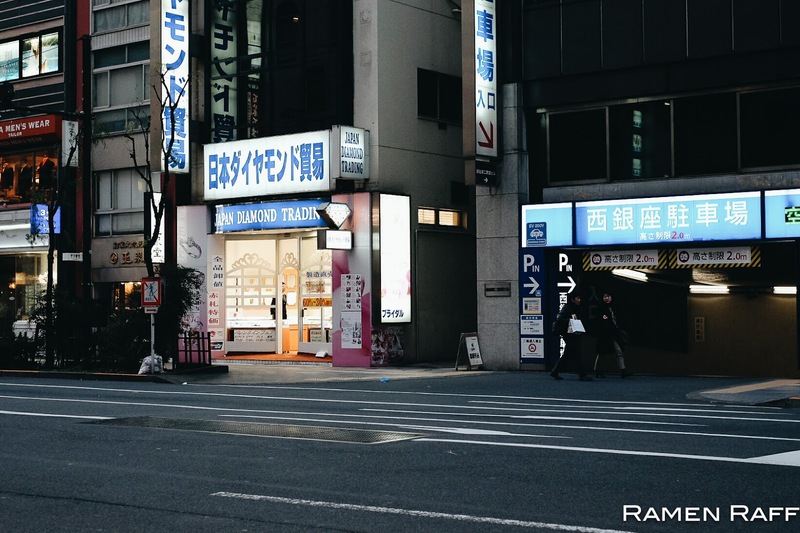 They have 5 shops in Japan and one in San Francisco. 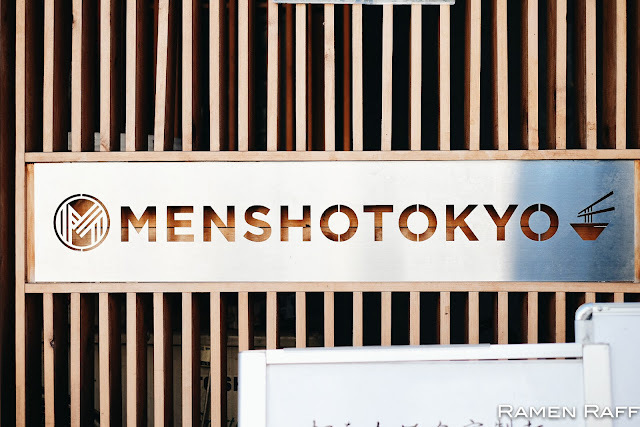 Dishes like salmon tsukemen, oyster tsukemen, and Hiyashi white coconut milk soup ramen served at their other shops (Mensho Ichigaya and Gachi Shinjuku). We visited the Kasuga branch, where the shop front is their ramenya and the back is like a ramen lab where they experiment and create new ramen. It is where they make their noodles for all their shops. The Kasuga shop even did a chocolate lamb ramen for Valentines 2016. Wait what?! Yep! You read that right. We tried their signature lamb tonkotsu ramen (¥850). 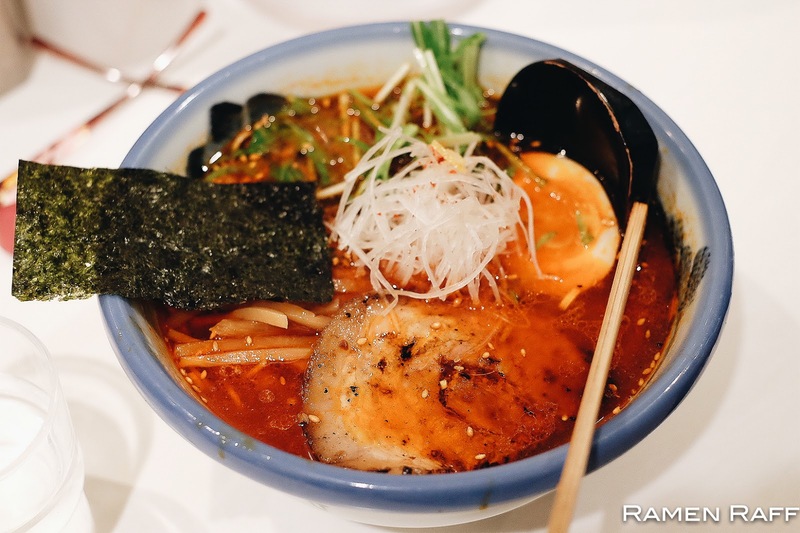 The broth was insane! 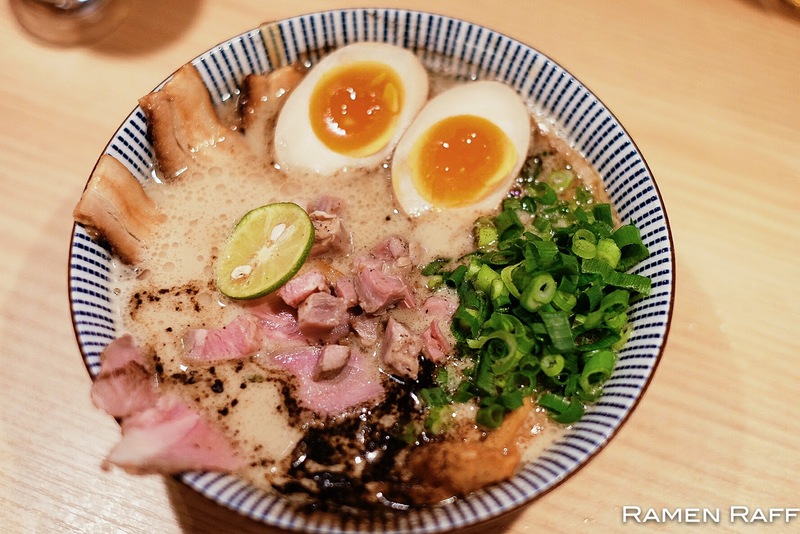 The broth was made from lamb and pork bones. It came out milky with a bold and full body umami. There's also an added slice of sudachi citrus to cut through the richness. The noodles made in-house were cooked perfectly. 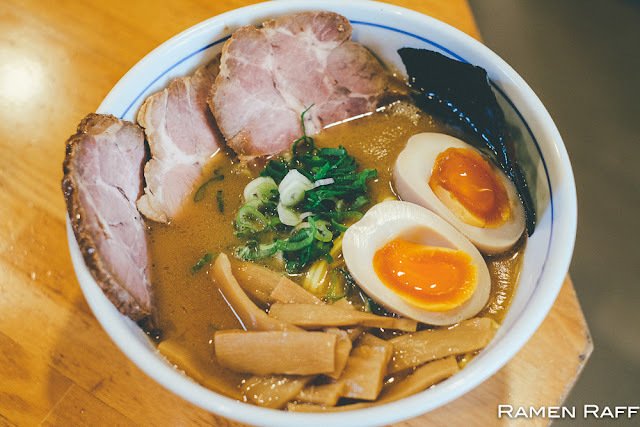 You get tasty and tender slices of pork and lamb chashu. I couldn't get enough of it! The ajitama was on point and pack with flavour. We also had their lamb mazemen (¥900) and it was out of this world. 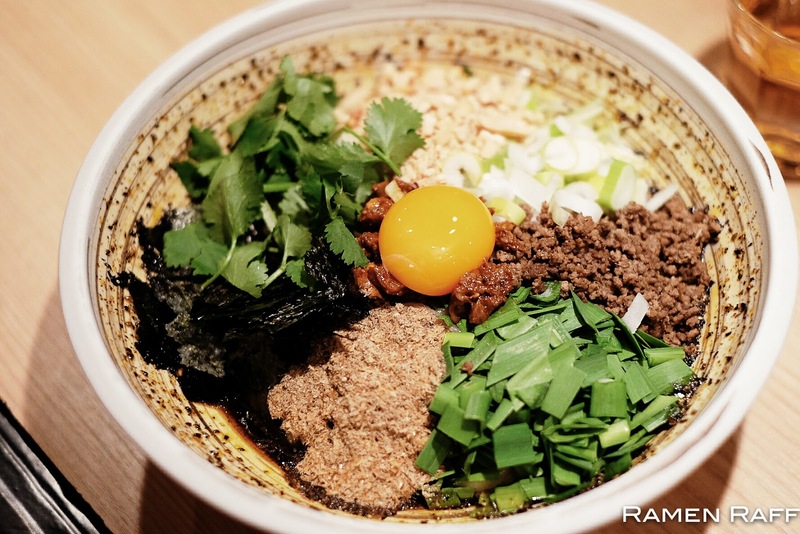 Mix all the toppings (which includes lamb chashu, minced mutton, 3 types of roasted nuts, corriander, minced garlic, negi, nori, egg yolk, tare), abura and noodles then you get a cocktail of flavours partying on your palate. 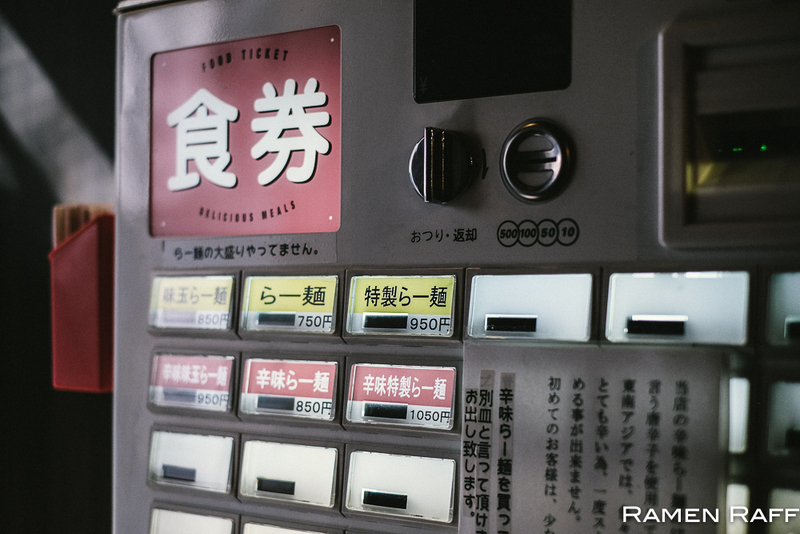 The most notable flavours were sweet-ish pepper and cummin. Oishii desu!! Hours: 11am to 11pm (closed Tuesdays). There's a reason why ramen chain Nagi has done so well. 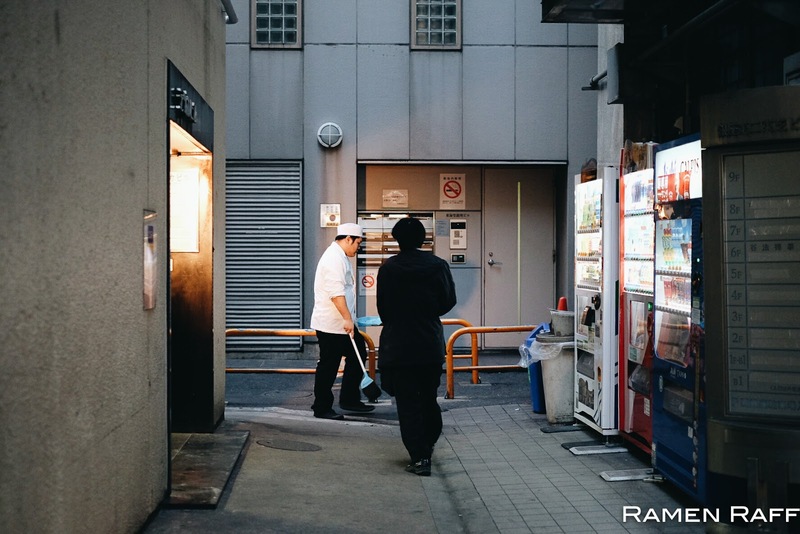 They deliver the goods regardless of the style of ramen their shops sell. 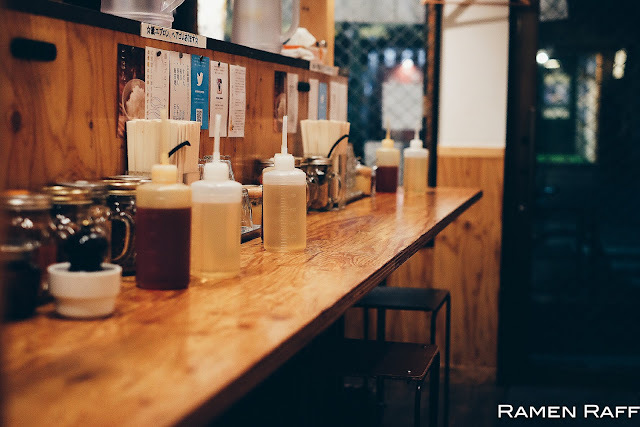 Most Nagi shops specialises in Tonkotsu ramen. At Nagi Golden Gai, they excel in niboshi ramen. 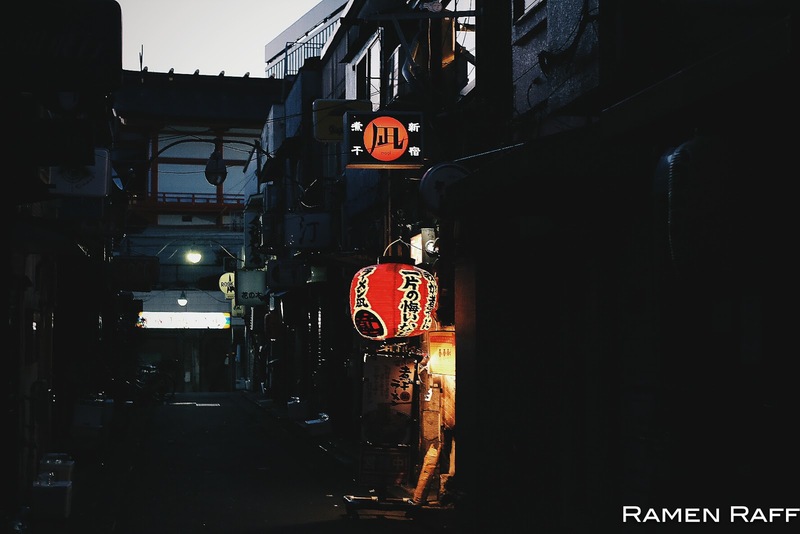 Look for the red Nagi lantern and signage, climb the steep narrow stairs and enter a rustic ramenya full of character. It only has 10 seats so it easily gets packed out. 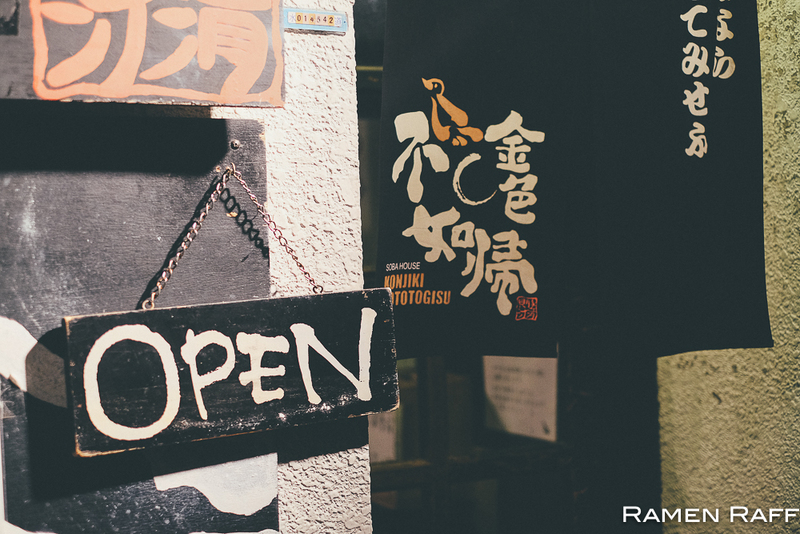 No need to worry, they are open 24 hours! 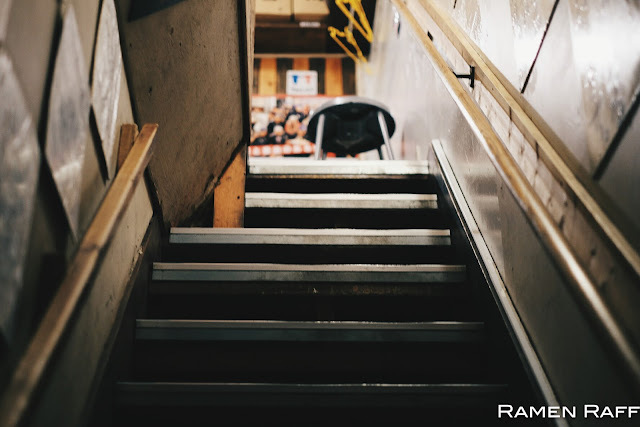 Come late at night or super early in the morning (like we did) and you are guaranteed a seat. 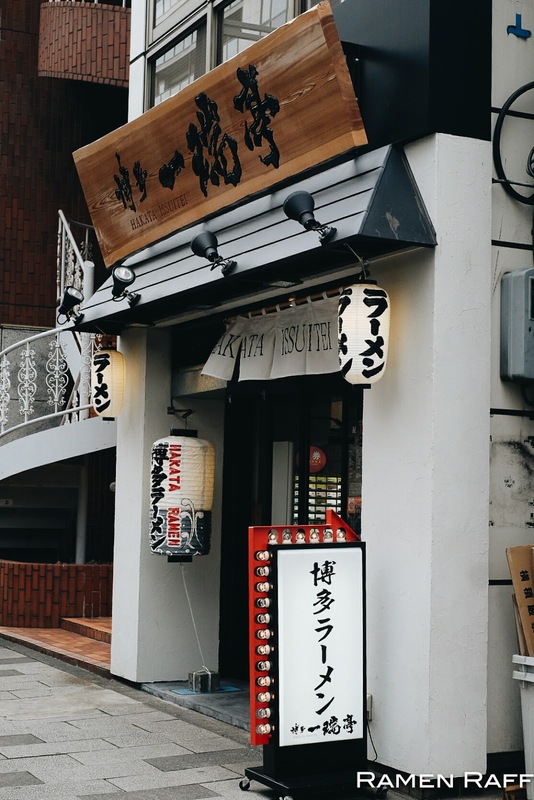 Their signature ramen (¥950) is heavy on niboshi sardines and seasoned with shoyu tare. 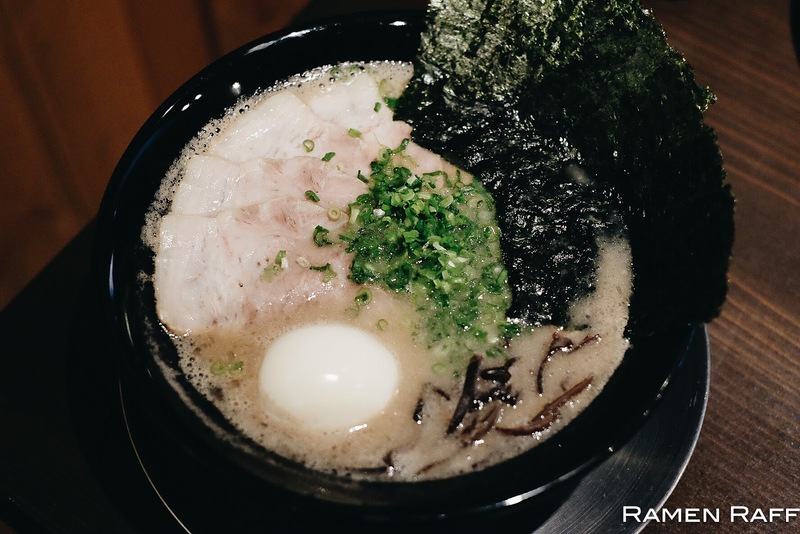 The broth is heavy on umami but the fishy flavour is actually perfect! 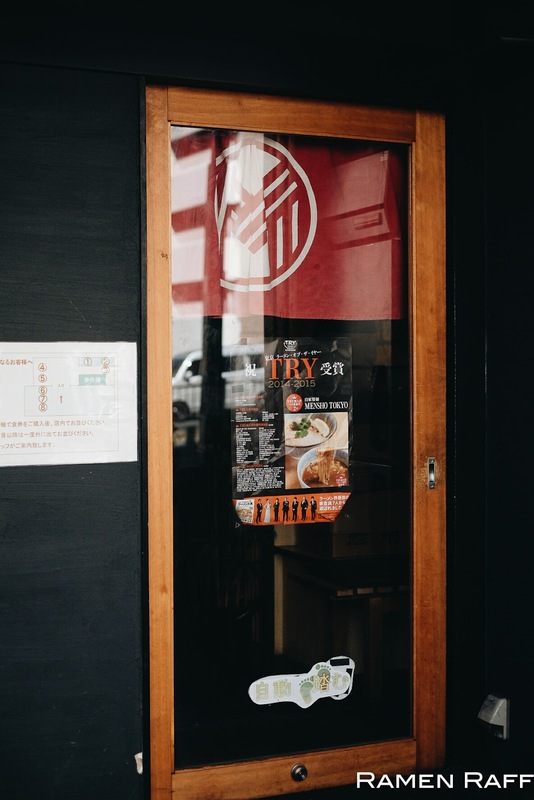 It comes with hirauchi jukusei taka suimen or "matured flat noodles with higher water content" used in Kitakata style ramen. It also comes with what appears to be silky wonton sheets. 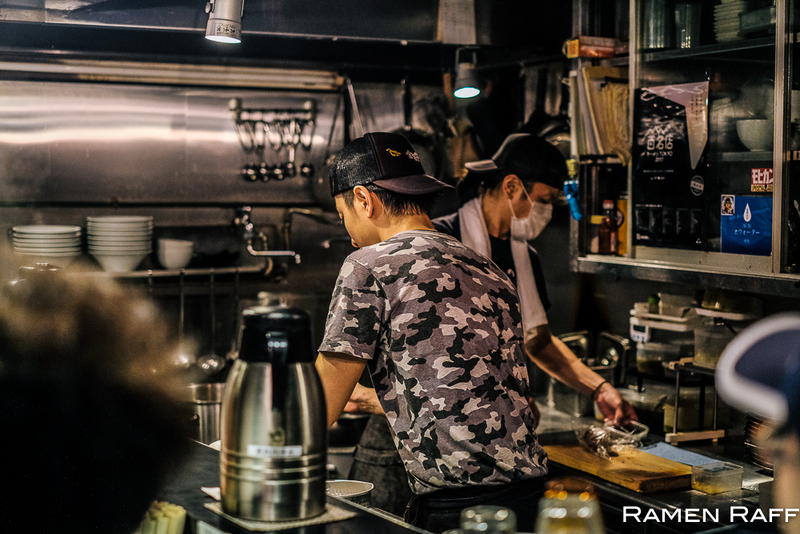 The chashu they use appears to be tender confit pork. You can get a version with tamago and also get extra chashu on the side. It was a massive bowl but we managed to crush it within 10 minutes. 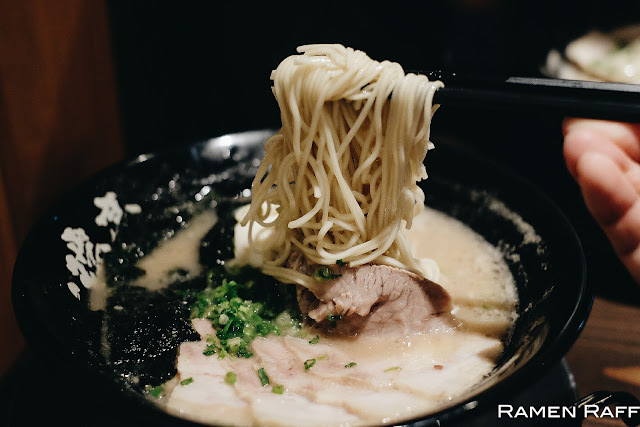 The ramen here is so good that popular ramen bloggers and celebrity chefs like Ivan Orkin would visit this shop when they are in town. I'm going to start by saying that this place has the best Hakata-style tonkotsu ramen I've had! This was picked up by my radar via Time Out Japan. 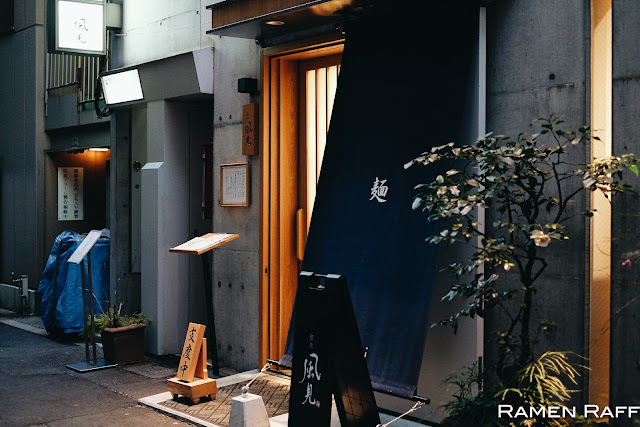 They awarded this ramenya as one of the best new Tokyo ramen in 2016. Obviously, team Ramen Raff had to visit it! 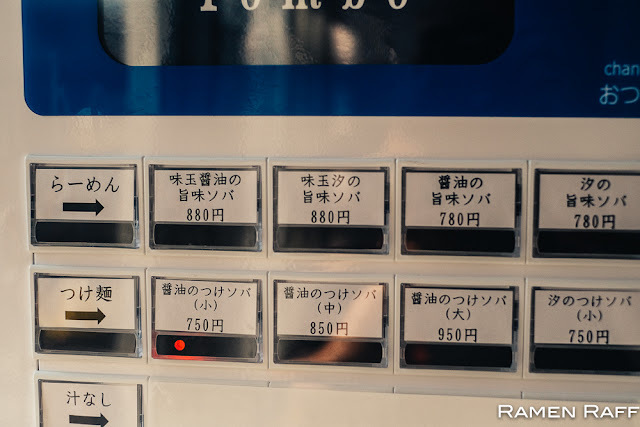 We ordered their standard tonkotsu ramen with ajitama (¥950). Straight away, the generous fatty slices of chashu stole my attention. Not only were they tender and rich, but also tasty. 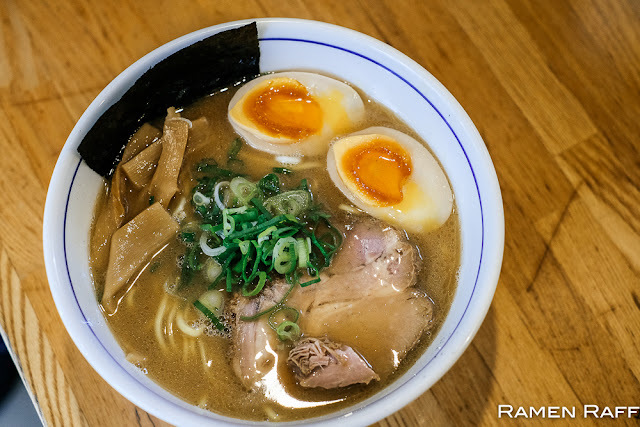 I love the rich in pork fat emulsified consistency broth in this bowl, which is also packed with a lot of umami and bold pork flavour without the funky smell Hakata style tonkotsu broths normally have. There was no need to add condiments to the broth as it was already beautiful as it was. The straight noodles were nice and firm. 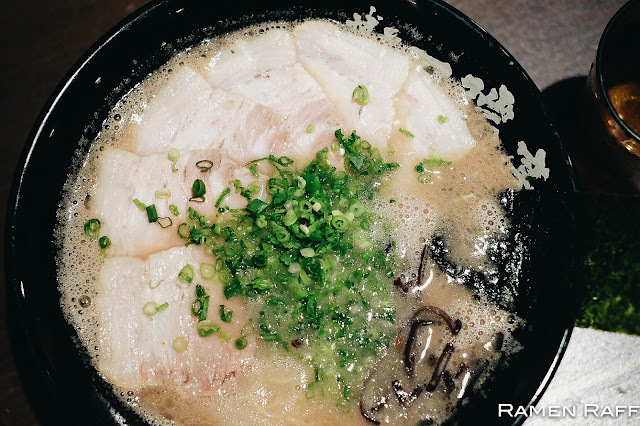 It had more than enough negi to give the broth sweetness. 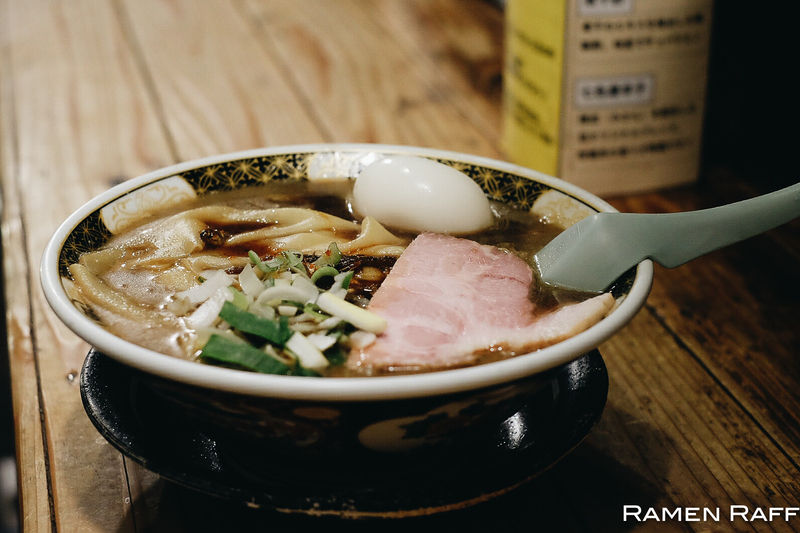 I love Japanese negi as they are sweeter compared to the ones we get in Sydney. 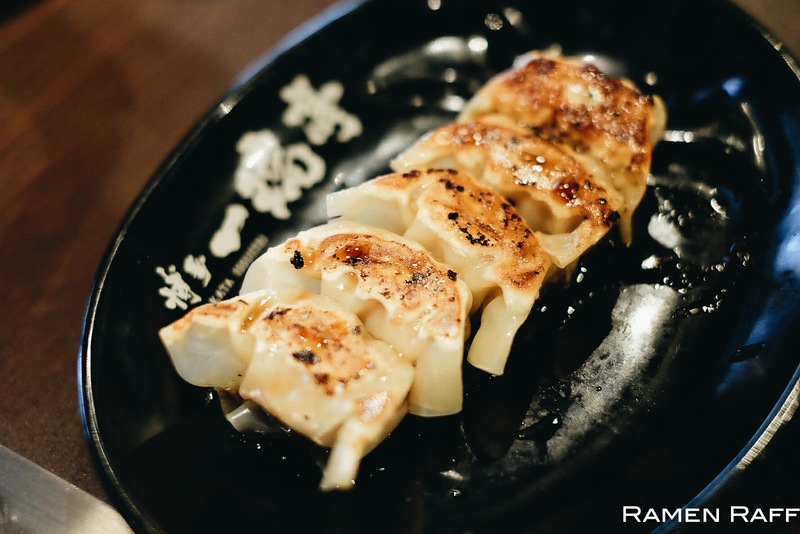 We also ordered gyoza! They were small than usual but the filling was bursting with so much flavour. 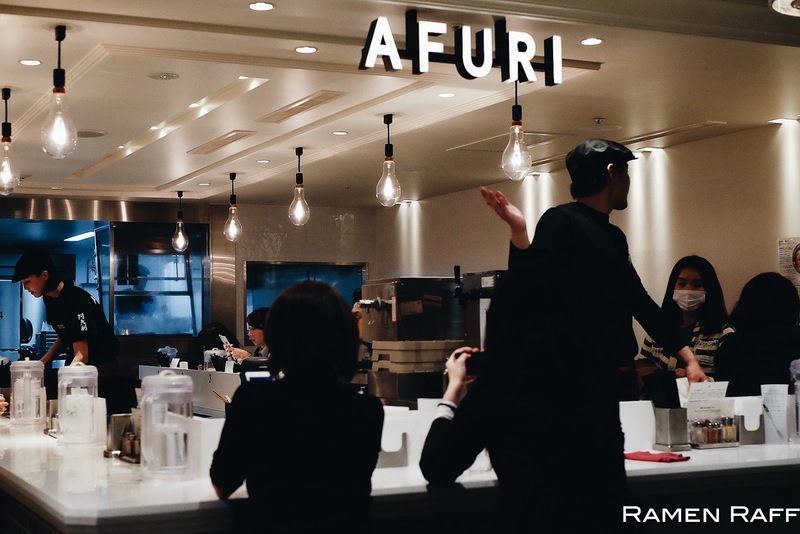 Another innovator in the Tokyo ramen scene is Afuri. 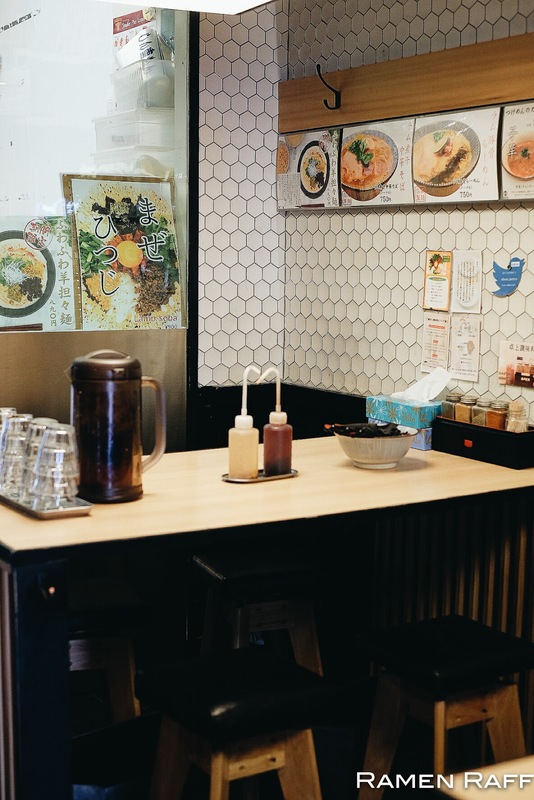 Whilst everyone else is trying to go with bold flavours and rich broths, this ramen chain has gone with lighter broths brighten up by yuzu. 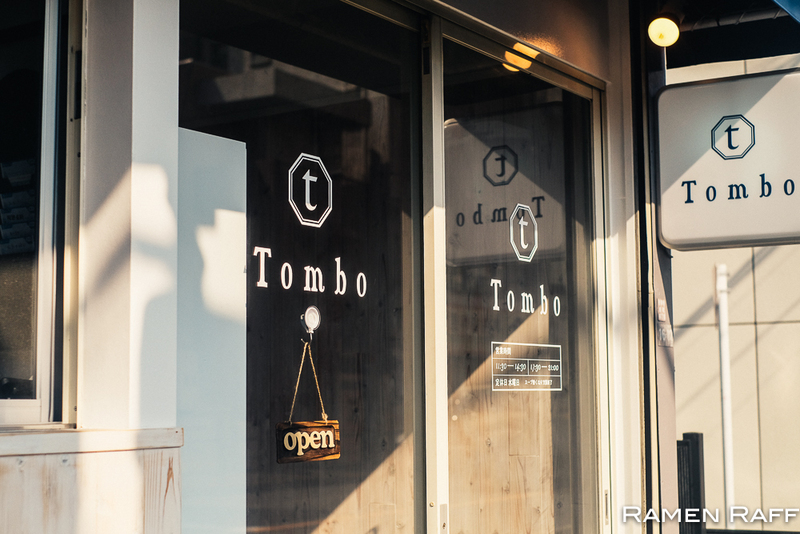 They now have 9 shops including a shop in Portland, Oregon! We tried their yuzu shoyu ramen (¥980) that has chicken & dashi broth with shoyu tare, yuzu, ajitama, tender & tasty grilled chashu, mizuna, menma and nori. 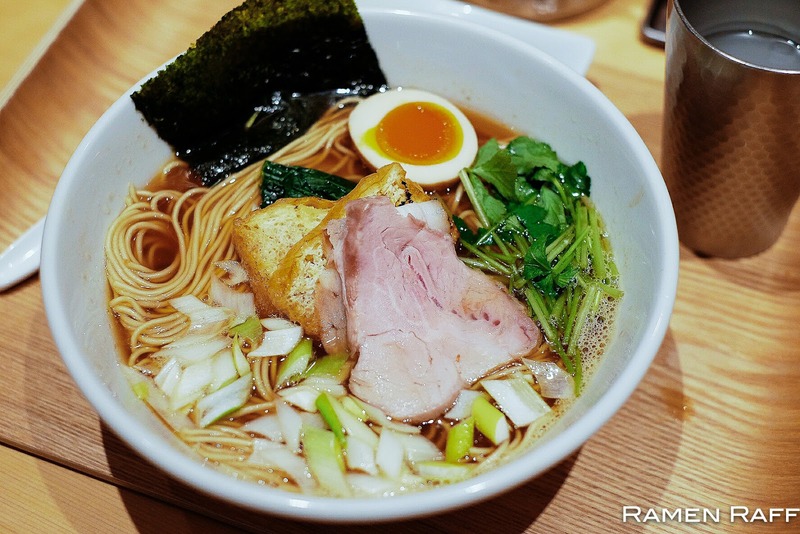 I like how the contrast of flavours of the broth and yuzu comes to a nice balance. I'm also a fan of their straight firm noodles. I prefer the yuzu ratanmen's (¥1,230) broth. I feel like the spicy factor gave the broth more complexity. Also, the caramelisation on their grilled chat was insane! 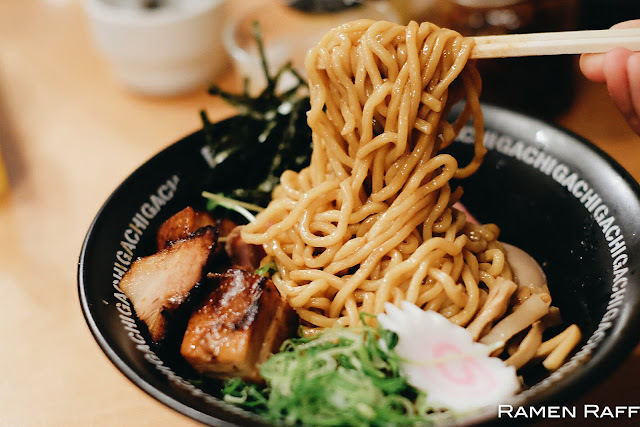 One of my favourite styles of ramen has gotta be abura (oil) soba, which is soupless ramen dressed with flavoured oil and topped with chashu etc. In most cases, sesame oil blended with tare and some cases, umami based flavouring. Gachi is also part of the Mensho group and is at the top of the Tokyo abura soba game. 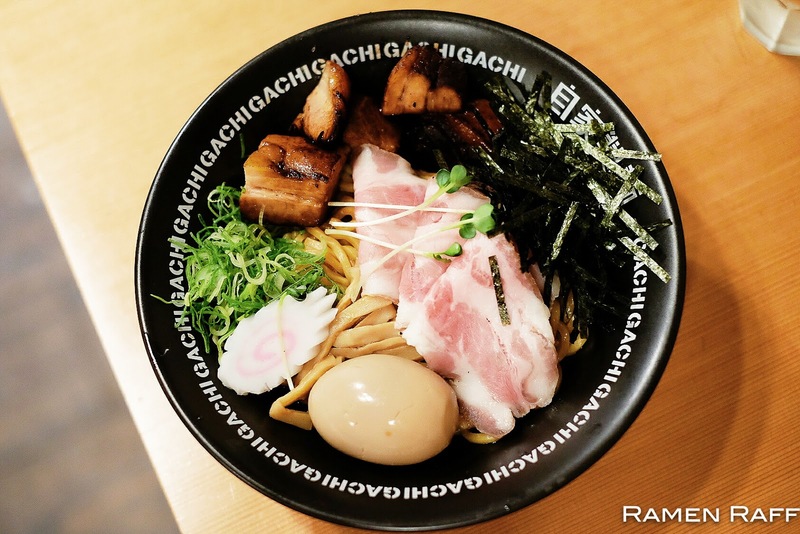 Like most ramen, you can get loaded versions of abura soba at Gachi. 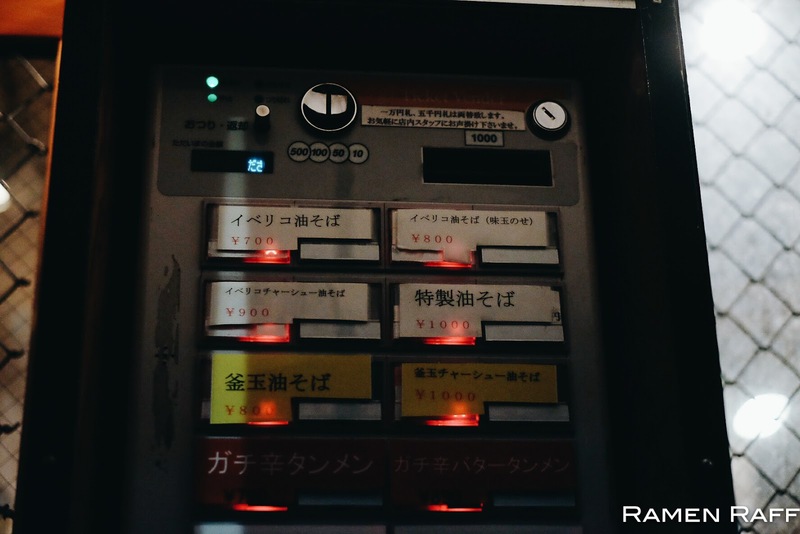 I got the loaded version with tamago (¥1000). It came with two types of chashu: flavoursome caramelised cubes of fatty pork belly and confit pork chashu. There was also naruto, shredded nori and negi. 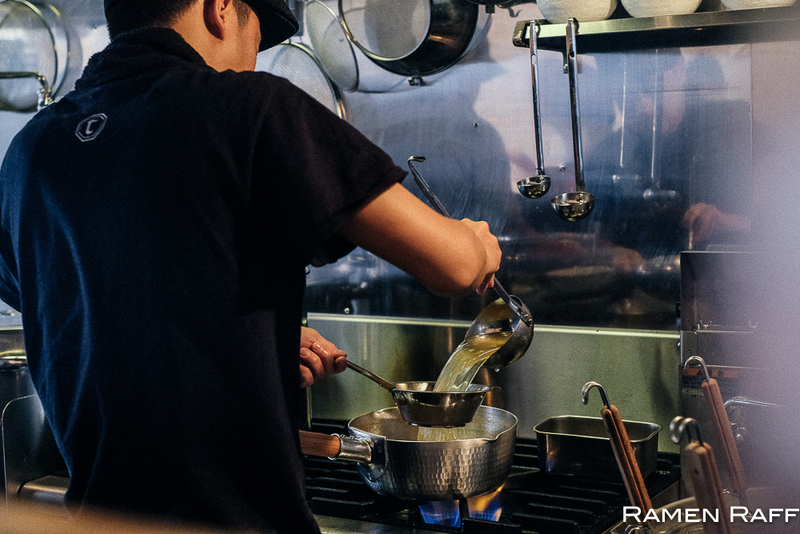 The oil sits at the bottom so you will have to mix everything until everything is dressed in oil and tare! This was rich, full of umami and damn amazing! You can also add condiments like garlic, chilli and ginger to give the abura soba more complexity. It was so addictive and the noodles were amazing!